(b) Scope and Exercise of Rights.— Only the author of a work of visual art has the rights conferred by subsection (a) in that work, whether or not the author is the copyright owner. The authors of a joint work of visual art are coowners of the rights conferred by subsection (a) in that work. (1) The modification of a work of visual art which is a result of the passage of time or the inherent nature of the materials is not a distortion, mutilation, or other modification described in subsection (a)(3)(A). (2) The modification of a work of visual art which is the result of conservation, or of the public presentation, including lighting and placement, of the work is not a destruction, distortion, mutilation, or other modification described in subsection (a)(3) unless the modification is caused by gross negligence. (3) The rights described in paragraphs (1) and (2) of subsection (a) shall not apply to any reproduction, depiction, portrayal, or other use of a work in, upon, or in any connection with any item described in subparagraph (A) or (B) of the definition of “work of visual art” in section 101, and any such reproduction, depiction, portrayal, or other use of a work is not a destruction, distortion, mutilation, or other modification described in paragraph (3) of subsection (a). (1) With respect to works of visual art created on or after the effective date set forth in section 610(a) of the Visual Artists Rights Act of 1990, the rights conferred by subsection (a) shall endure for a term consisting of the life of the author. (2) With respect to works of visual art created before the effective date set forth in section 610(a) of the Visual Artists Rights Act of 1990, but title to which has not, as of such effective date, been transferred from the author, the rights conferred by subsection (a) shall be coextensive with, and shall expire at the same time as, the rights conferred by section 106. (3) In the case of a joint work prepared by two or more authors, the rights conferred by subsection (a) shall endure for a term consisting of the life of the last surviving author. (4) All terms of the rights conferred by subsection (a) run to the end of the calendar year in which they would otherwise expire. (1) The rights conferred by subsection (a) may not be transferred, but those rights may be waived if the author expressly agrees to such waiver in a written instrument signed by the author. Such instrument shall specifically identify the work, and uses of that work, to which the waiver applies, and the waiver shall apply only to the work and uses so identified. In the case of a joint work prepared by two or more authors, a waiver of rights under this paragraph made by one such author waives such rights for all such authors. (2) Ownership of the rights conferred by subsection (a) with respect to a work of visual art is distinct from ownership of any copy of that work, or of a copyright or any exclusive right under a copyright in that work. Transfer of ownership of any copy of a work of visual art, or of a copyright or any exclusive right under a copyright, shall not constitute a waiver of the rights conferred by subsection (a). Except as may otherwise be agreed by the author in a written instrument signed by the author, a waiver of the rights conferred by subsection (a) with respect to a work of visual art shall not constitute a transfer of ownership of any copy of that work, or of ownership of a copyright or of any exclusive right under a copyright in that work. While it seems hard to quibble with the idea of protecting the integrity of artistic works, the VARA (and it should be noted similar state laws) seem to punish those who are foolish enough to allow their property to be the canvas. Perhaps for this reason many of the VARA decisions seem to stretch the law to avoid what the court might perceive as an unjust result. The artwork consists of a variety of sculptural elements constructed from recycled materials, much of it metal, affixed to the walls and ceiling, and a vast mosaic made from pieces of recycled glass embedded in the floor and walls. Elements of the work include a giant hand fashioned from an old school bus, a face made of automobile parts, and a number of interactive components. These assorted elements make up a theme relating to environmental concerns and the significance of recycling. In Phillips v. Pembroke Real Estate, Inc., 459 F.3d 128 (1st Cir. 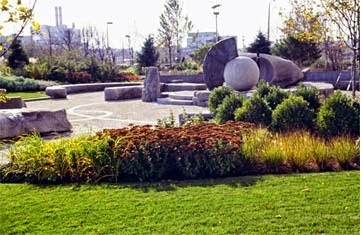 2006), the First Circuit’s determination VARA does not include site-specific art (art that is integrated into a site) allowed a park to be redesigned without VARA liability. In Chapman Kelley v. Chicago Park District, 635 F.3d 290 (7th Cir. 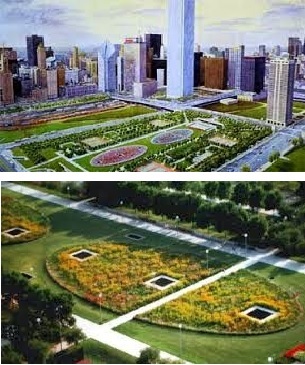 2011), the Seventh Circuit’s questionable determination that Kelley’s Wildflower Works was not protected by copyright because it was not fixed in a tangible medium, allowed the City to reconfigure Kelley’s oval flower beds into smaller, rectangular beds, and change some of the flowers, without liability under VARA. In Pavia v. 1120 Avenue of the Americas Associates, 960 F.Supp. 620 (S.D.N.Y. 2003), the district court held that VARA applied to a sculpture created before its enactment, but not to alleged acts of mutilation that occurred before enactment. 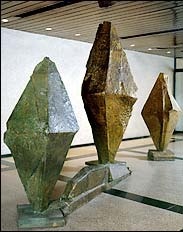 Thus the district court dismissed Philip Pavia’s VARA claims resulting from defendants movement of his “The Ides of March” sculpture from a Hilton Hotel Lobby to a warehouse. In Pollara v. Seymour, 344 F.3d 265 (2nd Cir. 2003) the Second Circuit’s determination that a hand-painted banner was not a work of visual art, saved a city employee from liability under VARA for removing the banner, which was installed at public plaza without a permit. In Massachusetts Museum of Contemporary Art Foundation, Inc. v. Buchel, 593 F.3d 38 [93 U.S.P.Q.2d 1632] (1st Cir. 2010), although the First Circuit found that VARA applied to unfinished art, its determination that neither partially covering the unfinished work with tarpaulins nor displaying the unfinished work in its entirety violated VARA. In Martin v. City of Indianapolis, 982 F.Supp. 625 (S.D.Ind. 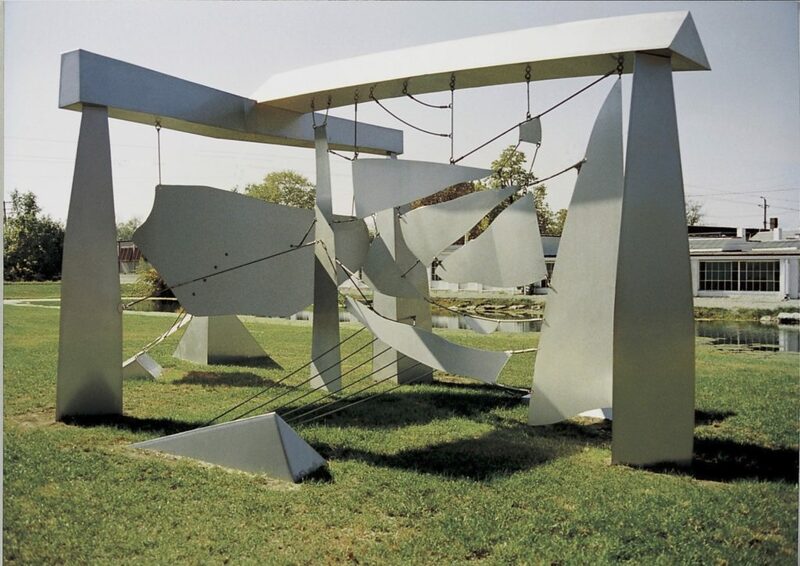 2007), the district court granted summary judgment to Jan Martin for the city of Indianapolis’ destruction of his Symphony # 1 sculpture after his offers to donate and move the sculpture to another site for a cost of $8000. In Scott v. Dixon, 309 F.Supp.2d 395 (E.D.N.Y. 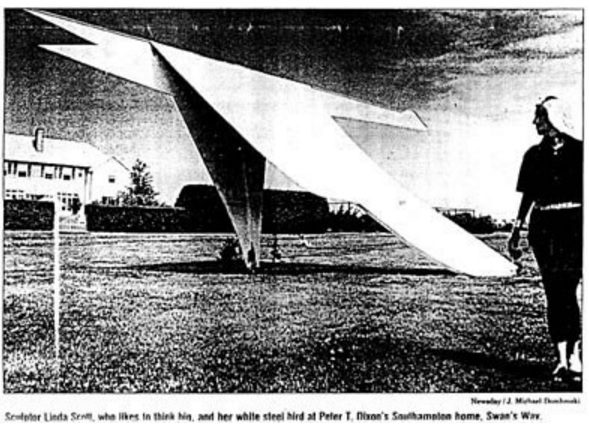 2004), the district court found that Scott’s sculpture of a swan that the Dixons asked Scott to build in their backyard, was not a work of sufficient stature to merit protection under VARA, even though some of her other works may have attained that stature. In Hunter v. Squirrel Hill Associates, L.P., 413 F.Supp.2d 517 (E.D.Pa. 2005), the district court found that the VARA action brought by the painter of a mural damaged by water leakage against a roof repairer was time-barred. In Flack v. Friends of Queen Catherine Inc., 139 F.Supp.2d 526 (S.D.N.Y. 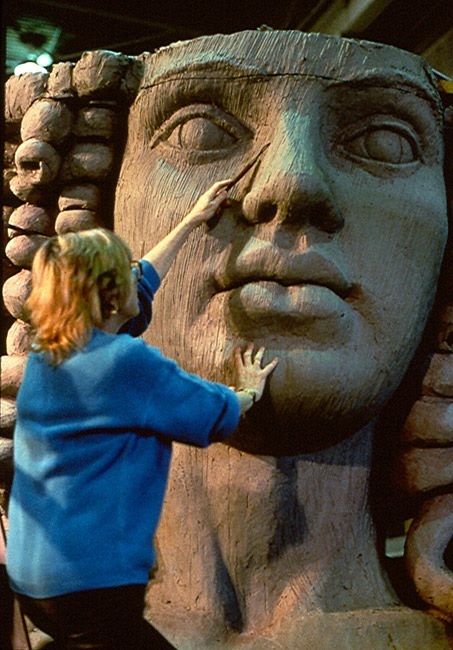 2001), Audrey Flack, an artist commissioned to create a statute of Queen Catherine of Braganza, namesake of the borough of Queens in New York City, sued Friends of Queen Catherine, Inc. the non-profit organization managing the project. Flack sculpture of the head of the statue was left outside and was damaged, and rather than paying Flack to resculpt the face, one of her assistants was hired to do the work, so the statute could be completed. The district court rejected the claim that leaving the model outside violated VARA because damage from the passage of time or the inherent nature of the materials is excluded. The court also rejected that the repair of the model violated VARA because conservation is also excluded. In Board of Managers of Soho International Arts Condominium v. City of New York, 2003 WL 21403333 (S.D.N.Y. June 17, 2003) the district court denied the parties cross motions for summary judgment, noting that plaintiff failed to establish the sculpture was not removable from the building (and thus not protected under VARA), and defendant failed to established that it was removable (and thus entitled to limited production under VARA). See Board of Managers of Soho Intern. Arts Condominium v. City of New York, 2005 WL 1153752, 75 U.S.P.Q.2d 1025 (S.D.N.Y. 2005). In Cohen v. G & M Realty LP, 988 F.Supp.2d 212 (E.D.N.Y. 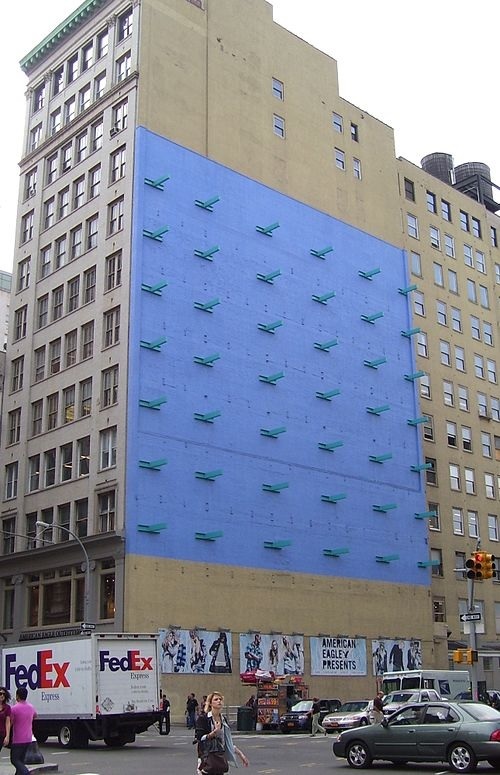 2003), the district court denied a preliminary injunction against the demolition of the buildings on which plaintiff’s aerosol artwork were created. In Kleinman v. City of San Marcos, 597 F.3d 323 (5th Cir. 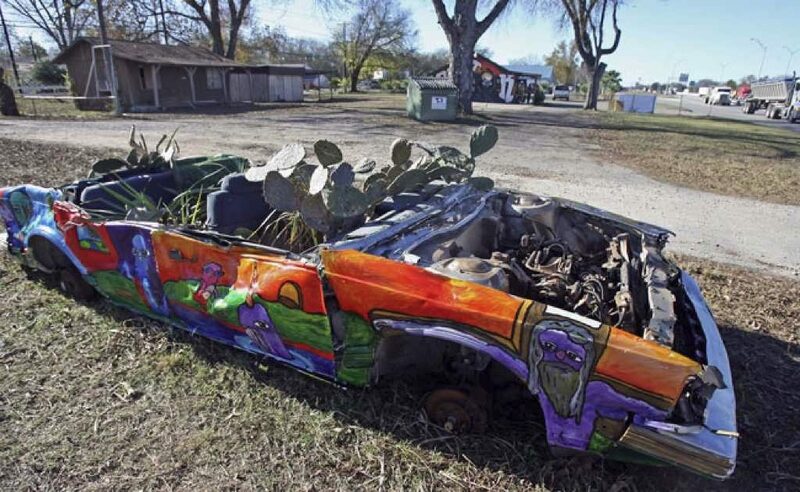 2010), the Fifth Circuit determined that a car-planter did not qualify as a “work of visual art” under the VARA, and thus was subject to regulation by the city. In English v. BFC&R East 11th Street LLC, [97 Civ. 7446(HB)] 1997 WL 746444 (S.D.N.Y. 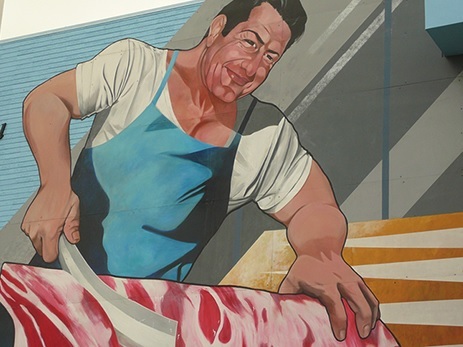 1997), the district court denied artist’s motion for preliminary injunction and granted the developer’s motion for summary judgment, finding that the murals were placed illegally on the property, and thus not entitled to protection under VARA. In Leicester v. Warner Bros., 232 F.3d 1212 [57 U.S.P.Q.2d 1001] (9th Cir. 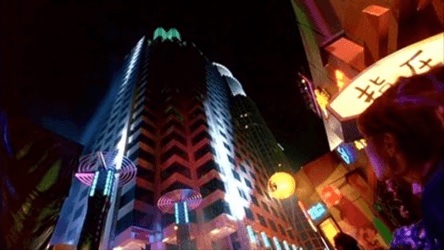 2010), the Ninth Circuit determined that artist Andrew Leicesters contributions to the design of the streetscape around the 801 Tower in Los Angeles (featured in Batman Forever) became part of a unitary architectural work, and was not entitled to separate protection under VARA. In Cheffins v. Stewart, 825 F.3d 588 [119 U.S.P.Q.2d 1094] (9th Cir. 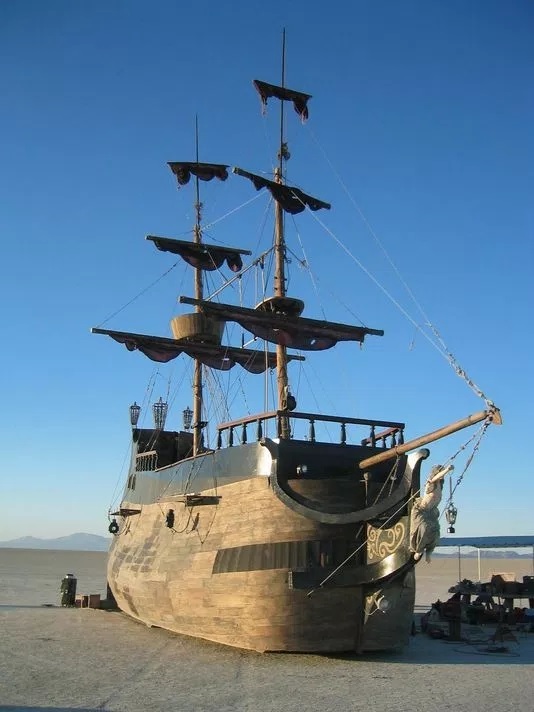 2016), the Ninth Circuit affirmed the determination that a mobile replica of 16th-century Spanish galleon, built from used school bus, was a work of applied art, and thus not protect by VARA, when it was burned by the owner of the land on which it was stored, so that the bus could be sold as scrap. In Cort v. St. Paul Fire and Marine Ins. Companies, Inc., 311 F.3d 979 (9th Cir. 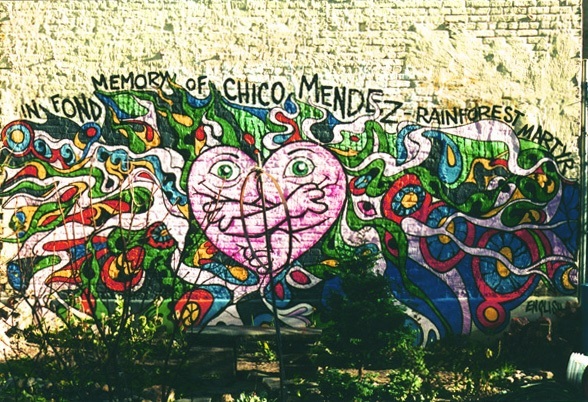 2002), the Ninth Circuit held that claims under VARA for covering over artist Jesus “Chuy” Campusano’s Lilli Ann mural did not constitute advertising injury covered by defendant’s commerical insurance policies. In Hanrahan v. Ramirez, [2:97–CV–7470 RAP RC] 1998 WL 34369997 (C.D. Cal. 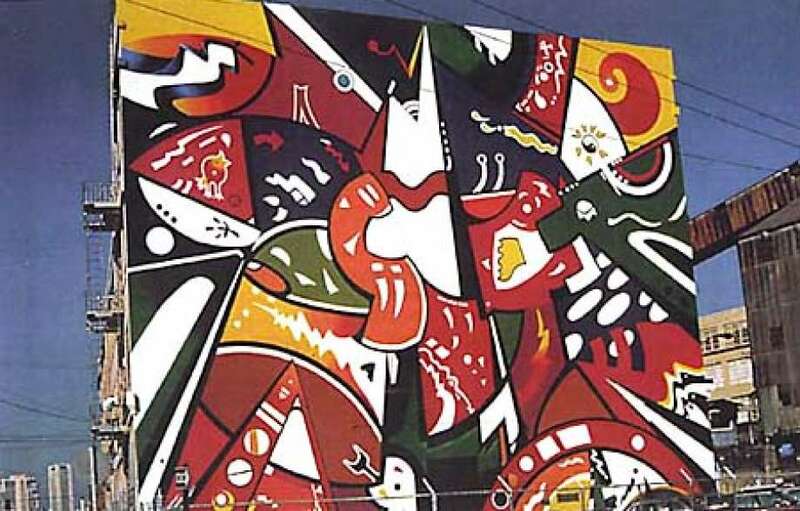 1998), Artist Mary B. Hanrahan won default judgment against the lessees of Avenue Liquor Store in West Ventura that painted over her mural. In Jackson v. Curators of the University of Missouri, [11–4023–CV–C– MJW] 2011 WL 5838432 (W.D. Mo. 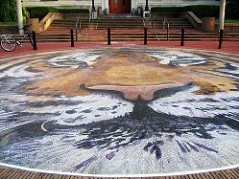 November 21, 2011), the district court denied the University’s motion to dismiss artist Paul Jackson’s VARA claims for mistreatment of his Tiger Spot mosaic installed on campus. In Romero v. California Department of Transportation, [ 08–8047 PSG (FFMx)] 2009 WL 650629 (C.D.Cal. March 12, 2009), the district court granted CalDOT’s motion to dismiss Frank Romero’s VARA claim for painting over his “Going to the Olympics” mural rather than cleaning the graffiti from it. Photographer TC Reiner sued Watkins Institute and one of its students Ryon Nishimori for copyright infringement when Nishimori incorporated one of Reiner’s copyrighted photographs into a mock advertisement for a classroom assignment, and saved his work on Flickr, along the way removing Reiner’s copyright notice to improve the appearance of the mock advertisement and giving rise to a DMCA claim as well. 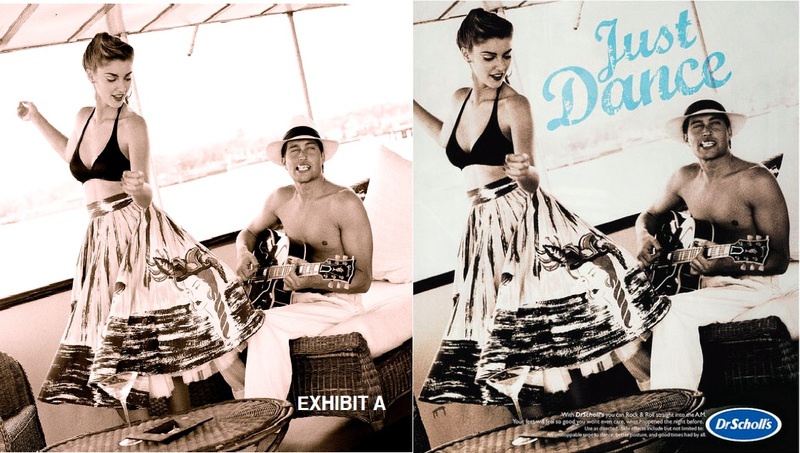 In evaluating the first factor, the Court considered whether the new work is transformative, and whether the use of that work is for commercial or noncommercial purposes.” The Federal Circuit agreed that Watkins gave the photograph to the students so that the students could learn to create a mock advertisement, not so the students would benefit merely from absorbing the content of the photograph itself. This is a nonprofit educational purpose. In evaluating the second factor, the nature of the copyrighted work weighs slightly against finding fair use. Courts consider two aspects of the work in evaluating this factor: first, the extent to which it is a creative work enjoying broader copyright protection as opposed to a factual work requiring broader dissemination, and second, whether it is unpublished, in which case the right of first publication is implicated. In evaluating the third factor, the amount and substantiality of the portion used in relation to the copyrighted work as a whole also weighs against finding fair use because defendants used Reiner’s entire photograph. In evaluating the fourth factor, the court said that the burden of proof as to the market effect rests with the Reiner where the challenged use is of a noncommercial educational nature. The court found a complete absence of proof of any impact on the market for the work. After weighing all the factors in the light consistent with the purpose of the fair use doctrine, the Court conclude that the school’s educational use of the photograph was fair use. The court made a similar conclusion with respect to Nishimori’s uses. Finally, the court found that a DMCA requires knowing or having reasonable grounds to know that removal of Reiner’s copyright notice will induce, enable, facilitate, or conceal an infringement of the federal copyright laws. The Court said it was undisputed the Nishimori did not know or have reasonable grounds to know that removing Reiner’s name, the name of the photograph, or the copyright tracking number, would induce, enable, facilitate, infringement, and thus did not violate 17 U.S.C. §1202(b)(1). In the end, the fair use exception of 17 U.S.C. §107 protected the school and its student from liability for using a copyrighted photograph in an academic assignment, but it did not save them from just over two years of litigation, and the accompanying costs. Just because a use qualifies as a fair use, does mean you are going to be treated fairly. The Estate of Vivian Maier has sued Jeffrey Goldstein and his company Vivian Maier Prints, Inc. for copyright infringement. Vivian Maier was an American street photographer, who worked for about forty years as a nanny in Chicago’s North Shore, while pursuing photography during her spare time. Chicago art collector Jeffrey Goldstein accumulated a significant quantity of Maier’s work, includign 17,500 negatives, 2,000 prints, 30 homemade movies, and numerous slides. Before selling his collection in 2014, Goldstein formed Vivian Maier Prints, Inc., to sell prints. Ownership of a copyright, or of any of the exclusive rights under a copyright, is distinct from ownership of any material object in which the work is embodied. Transfer of ownership of any material object, including the copy or phonorecord in which the work is first fixed, does not of itself convey any rights in the copyrighted work embodied in the object; nor, in the absence of an agreement, does transfer of ownership of a copyright or of any exclusive rights under a copyright convey property rights in any material object. This statute, which on some levels is intuitive, often leads to some surprising results. Most of use understand and accept that buying a book doesn’t give the purchase the right to make a movie based upon the purchased book. However, it is less intuitive that the purchaser of a painting cannot hang the picture in a public place (because of the public display right), or the purchaser of a movie on DVD cannot show the movie in public (private showing is not prohibited, and is impliedly licensed in any event). Does he owner of negatives get to make prints of the negatives — the only real use for them? That would be making a copy of the image, and is arguably an infringement. Perhaps getting back the materials that Goldstein accumulated is the ultimate goal. The separation of copyright from the physical work works both ways: while the owner of the physical image can’t exploit the image without access to the copyright rights, the owner of the copyright rights in an image can’t exploit that copyright without access to the physical image. The Estate also complains about Goldstein using the name Vivian Maier in selling prints of Vivian Maier’s photographs. The Estate obtained an assignment of Supplemental Registration No. 4057824 on VIVIAN MAIER from another collector of Vivian Maier images, John Maloof, and on March 29, 2017, applied for another registration on VIVIAN MAIER (Application No. 4057824). Is is really infringement of the Estate’s right to call a VIVIAN MAIER print a VIVIAN MAIER print? 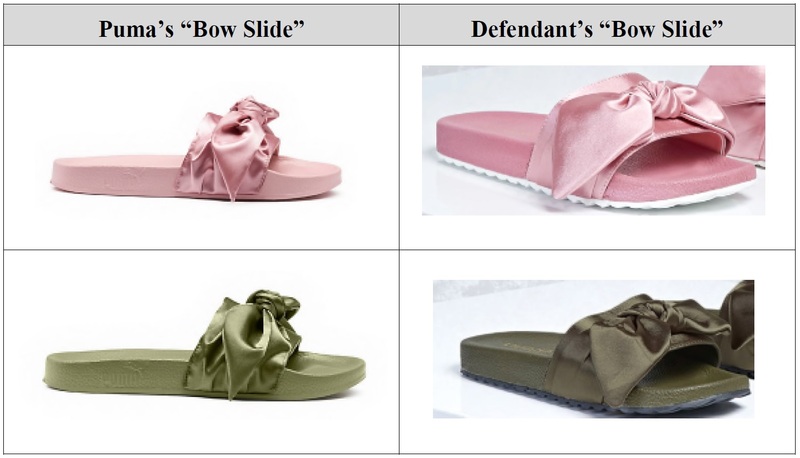 Hot on the “heels” of the Supreme Court’s decision in Star Athletica, LLC v. Varsity Brands, Inc., (2:17-cv-02523) PUMA SE has sued Forever 21 in the Central District of California (or among other things, copyright infringement in making a product simulating Puma’s CREEPER, FUR SLIDE, and BOW SLIDE sneakers. Soft Kitty, Warm Kitty, Little Furry Plaintiff . . . In Chase v. Warner Bros. Enetertainment, Inc., 1:15-cv-10063-NRB (March 27, 2017), Judge Buchwald of the Southern District of New York, granted Warner Bros. motion to dismiss a copyright infringement suit brought by the daughters and heirs of Edith Newlin, author of the lyrics to Warm Kitty. 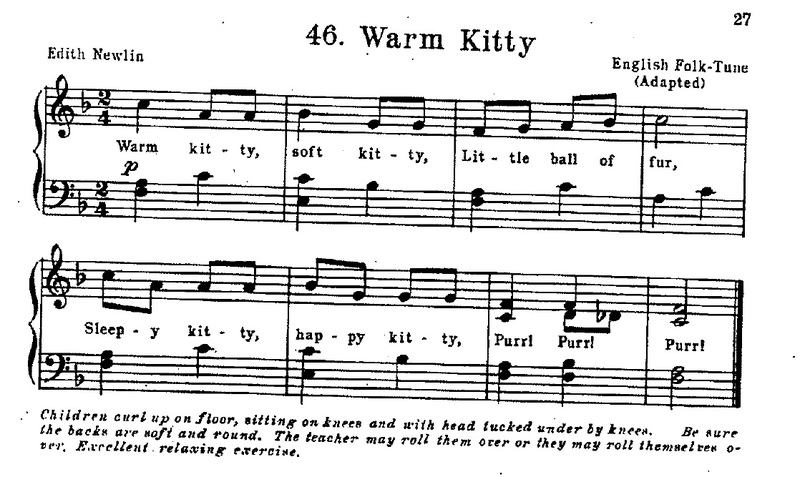 Plaintiff’s charged that the song Soft Kitty, popularized by The Big Bang Theory, infringed the copyright in Warm Kitty. Unfortunately for plaintiff’s they could not prove ownership of the copyright. While the song was published in an song book that was copyrighted, and the copyright in the collection was renewed, neither the author nor her successors renewed the copyright in the individual song, so their rights lapsed. Plaintiffs were the victims of the complexities of the 1909 Copyright Act, which are still being felt more than 100 years later. At least they have a nice, public domain song to comfort them. On January 23, 2017. 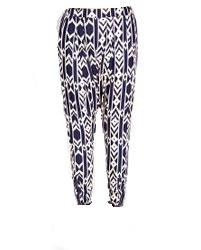 Forever 21, Inc. sued C Luce, Inc., and Cornerstone Apparel, Inc. for copyright infringement, selling copies of Forever 21’s Ikat Harem Patent. Nothing remarkable in the story so far, but was is remarkable that Forever 21 had the foresight to register the copyright in their Ikat pattern back in 2013. Having a registration is usually a prerequisite to bringing an infringement action. Furthermore, if the registration is obtained within five years of first publication, the certificate of a registration is prima facie evidence of the validity of the copyright and of the facts stated in the certificate. 17 U.S.C. §410(c). Finally if the registrations is obtained before the infringement begins, a prevailing copyright owner has access to an award of statutory damages and attorneys fees. 17 U.S.C. §412. See Forever 21, Inc. v. C Luce, Civil Action No. 2:17-cv-0553 (C.D.Cal. 2017). ASTM et al. v. Public Resource, Civil Action No. 13-cv-1215 (D.D.C Feb. 2, 2017) involved 257 of ASTM’s standards and the 1999 AERA standards that have been incorporated by reference into federal law. Public Resource posted these standards on the internet. ASTM sued for copyright and trademark infringement, and Public Resource counterclaimed for a declaration that its conduct did not violate copyright law or trademark law. The parties cross-moved for summary judgment. These are the only government-related works that outright lack copyright under the law. For other types of works, such as those commissioned by the government or created under government contract by private parties, Congress chose to make case-by-case decisions and leave the determination of whether private copyright should exist to the federal agency that commissioned or contracted for the work. Significant to the court was the fact that Congress was aware of the practice of incorporating standards by reference into regulations when it passed the current copyright law, but made no mention of these incorporated works. Moreover, the court noted that Congress has determined that online access to the nation’s laws and regulations need not be provided for no cost. The court concluded that the situation invoves policy balancing that Congress is presumed to have already engaged in, and any further changes to the law in light of new technological developments and resulting changes in public expectations of access to information are best addressed by Congress, rather than this court. Public Resource also raised due process requirements of access the text of “the law,” including the standards at issue here. The court noted taht four Circuit Courts have considered similar arguments regarding copyrighted works incorporated by reference into state and federal regulations. The First, Second, Fifth, and Ninth each dealt with similar issues, with mixed results. The court found that the ASTM standards have not entered the public domain upon their incorporation by reference into federal regulations and do not lose their copyright protection. 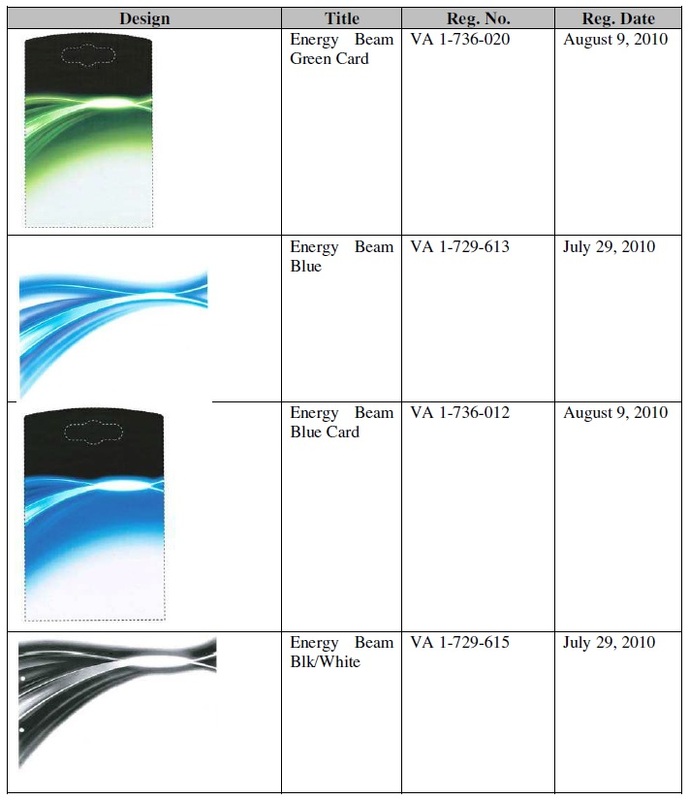 In a lawsuit filed in the Eastern District of Missouri today, Energizer Brands complained about Spectrum Brands’ “imitation” of its packaging, raising claims of trade dress infringement, false designation of origin, unfair competition, federal trademark infringement, federal trademark dilution, injury to business reputation, trademark and trade dress infringement, dilution, and unfair competition under state law, and . . . copyright infringement. 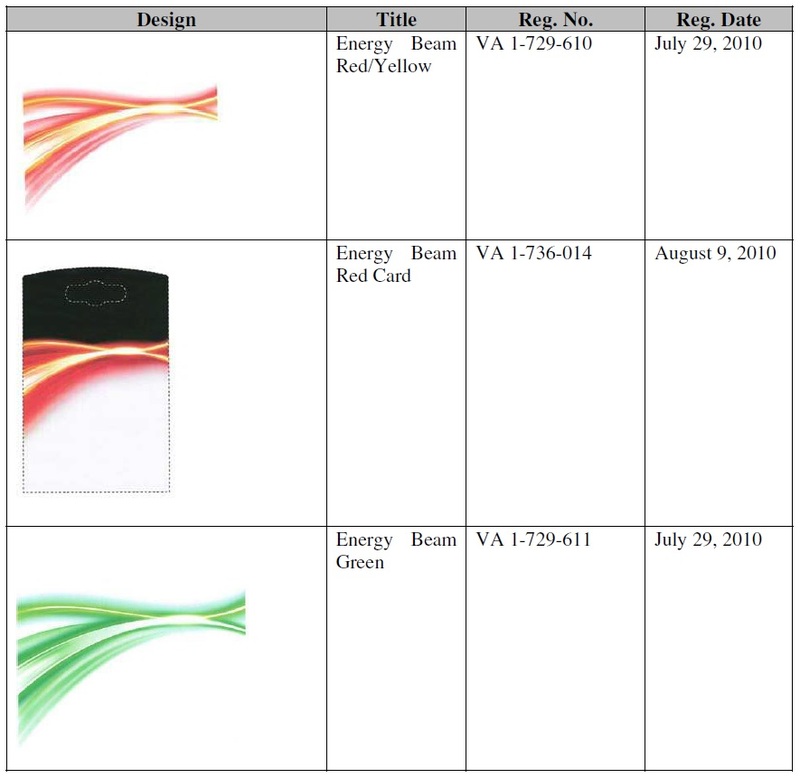 These copyright registrations give Energizer an additional path to victory, as well as enhanced remedies if it gets there. A likelihood of confusion is a requirement for most infringement and unfair competition claims, and the prominent display of a trademark might make it hard to show the confusion is likely. However, the availability of a copyright claim means that the trade dress owner doesn’t have to establish a likelihood of confusion, merely copying, something that can be shown from the similarity of the packages. 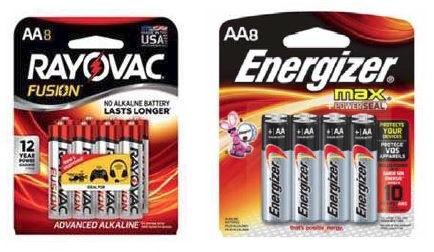 Regardless of whether Energizer is ultimately successful in its lawsuit, today’s filing demonstrates the value of copyrighting packaging and marketing materials. A common client question is: “Can I ‘get in trouble’ for copying a picture, drawing, or cartoon and pasting it into my report, PowerPoint, etc. ?” Before you can answer, they try to answer their own question adding “everyone is doing it, so it must be ok”. That answer is only half right — everyone is doing it. It is so easy to copy <CTRL> C and paste <CTRL> V virtually anything you can find in a Google search, and add that extra something to your soporific presentation that only a cat video or epic fail image can provide. However copying is copying, an fair use does not extend as far as every PowerPoint maestro believes (or hopes) it does. This was most recently illustrated by in a lawsuit filed in the Northern District of Illinois by David Kittos against the Trump Campaign, complaining about their use of his photograph of a bowl of skittles to illustrate a tweet send by Donald Trump, Jr., and retweeted by the campaign, infringed his copyright. Assuming that getting sued meets the threshold for the original “get in trouble” question posed at the beginning of this post, the answer to that question is a resounding “yes,” you can get in trouble for copying other people’s work, even if the leave it carelessly lying around on the internet. The likelihood of getting in trouble depends upon whether the author of the copied work finds out about it, and whether the author objects to the use. If your last name is Trump, the answer is almost always going to be “yes” and “yes,” but even if your name is not as famous, if you are copying someone’s work for a business or commercial purpose, there is a chance they will find out about it, and a chance they are not going to appreciate it. You may have a fair use defense — just as Donald Jr. may have — but you may not be in a good a position to assert it. When copying and pasting materials in your work, look for materials you created or materials that are in the public domain or that you have permission to use. If you must use copyrighted materials, make sure that you have a bona fide fair use defense (saving your audience from boredom is not such a bona fide fair use). In other words, control your <CTRL> V.